Hello & Chaò, we’re Todd and Diane. Welcome to our world of food, photography, travel, gardening and life with our beloved pups: Sierra, the White Boxer and Lexi, the energetic Rhodesian Ridgeback. Lexi wasn’t born yet when we made the above video, but we’re hoping to make a new one soon. And who is Dante, whom this video was dedicated to? He was our first pup, a loving and devoted Rhodesian Ridgeback. He gave us 11 years of un-conditional love and taught us so much about life that we will never forget. Why White On Rice Couple? We saw a funny play about a Vietnamese family and how they always stick together like “white on rice”. That term stuck with us in the sense to describe how close we are together as husband and wife, best friends and co-workers. We feel inseparable as we work, live and play together. Thus, the “white on rice” really stuck, along with how is a tongue-and-check reference to our heritages. When we needed a blog name way back in 2008, this made most sense. And we didn’t take our selves too seriously when we started the blog back then and still, kinda, sorta take ourselves more seriously now. You can always ask our pups what they think of us! We’re full time commercial/editorial food, travel & lifestyle photographers, creative directors and filmmakers. And we’re very busy cooks too. In our free time we share recipes and stories on our blog here, which is our happy little creative space. Our food blog here is a small slice of life that allows us to get away from our busy photography careers to just escape and connect with wonderful friends around the world. It’s our delicious creative outlet. Fueled by our love of local culture, people & rich heritage, we document powerful stories from around the world. Wether on assignment travel or working in our photography and event studio, we feel so lucky to be doing what we love. We believe in celebrating kind people, good food, great conversation, green gardening and traveling. Our lives have always been about love, family, friends and sharing. Connecting with people through food, sharing stories and supporting one another to live our dreams is what inspires us to publish this blog. Memories from our childhoods inspires us to cook, consume and create what you see here on our personal blog. Todd was born and raised on a cattle ranch in Elgin, Oregon and Diane was born in Da-Nang, Viet-Nam. Although our backgrounds are vastly different, we know that what we have in common far outweigh our differences. After 22 years together, we’re always continuing to evolve together as husband/wife and professional colleagues. This site is our outlet to share our love of food, cooking, travel , adventure and friendship. Welcome and nice to meet you. We’re based out of Los Angeles/Orange County , California. We wrote a cookbook called Bountiful . And washed every single dirty dish ourselves. By day we stay busy in our photo/multimedia studio and freelance on assignment. 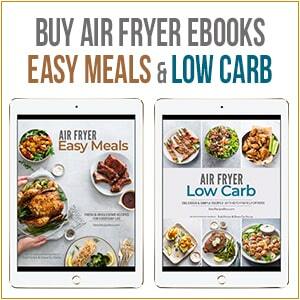 Clients include Taco Bell, Food & Wine Magazine, Fine Cooking Magazine, Thermador, KitchenAid, Nestle, Williams Sonoma, Whole Foods, Sunset Magazine. Partial client list here. Recipe contributors to Food & Wine Magazine Here. Visit our main Workshop Website Here. 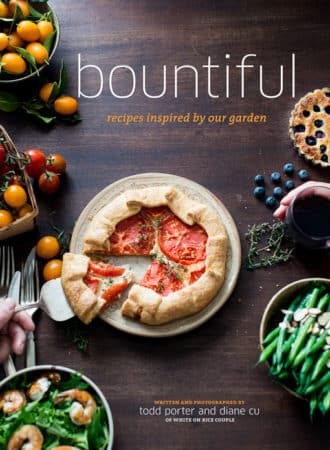 Los Angeles Times Print Feature and Interview of Bountiful Cookbook. Online photo gallery version is here. Complete Bountiful Cookbook Awards and Mentions Here. CreativeLive 2014, Seattle CA. Food Photography & Natural Food styling, 3 day workshop. Cancun Mexico, 2011: Food Blogger Camp : Hands on workshops for food photography, lifestyle and photojournalism. But with the flood of emails that we get on a daily basis, we are unable to answer each and every inquiry. That’s great to send us a quick line and “hello!” but if you’re expecting an answer, please know we try to best to respond and it won’t be right away. If it’s a recipe, technique or ingredient related question, please ask it on the comment section of the post so that everyone can benefit from the information. We like to share all recipe related questions to all our readers. White On Rice Couple is a participant in the Amazon Services LLC Associates Program, an affiliate advertising program designed to provide a means for sites to earn advertising fees by advertising and linking to WhiteOnRiceCouple.com . This website also has partnerships with other independent online retailers through affiliate links that allow readers to purchase merchandise mentioned or recommended through WhiteOnRiceCouple.com . The small amount of comission that is generated through those affiliate partnerships are used to maintain this website and help pay for groceries for all the great recipes!